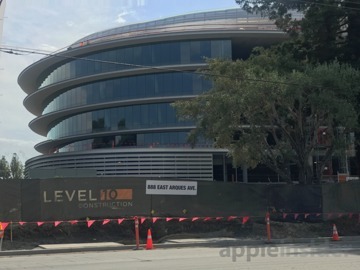 Located in Sunnyvale, California at the corner of the Central Expressway and Wolfe Road, the nearly complete AC3 (for "Apple Campus 3," it's also known as "Central and Wolfe") is about 4 miles (6 km, or a ten minute drive) from either Apple Park or the company's original 1 Infinite Loop campus, both of which lie within the city limits of the adjacent city of Cupertino. 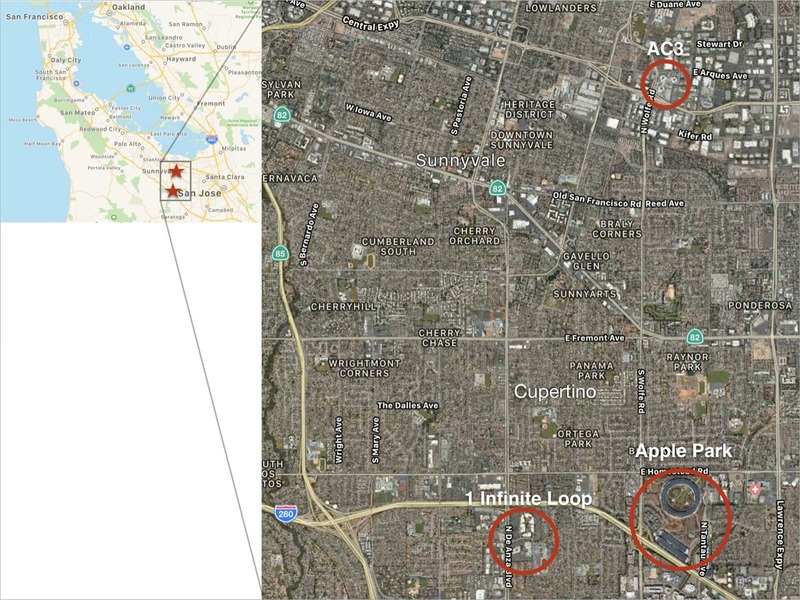 In typical suburban California fashion, it would require almost an hour to get between AC3 and Apple Park on a city bus (even though there actually is a direct route), so Apple will no doubt continue to use its own shuttles to move employees. 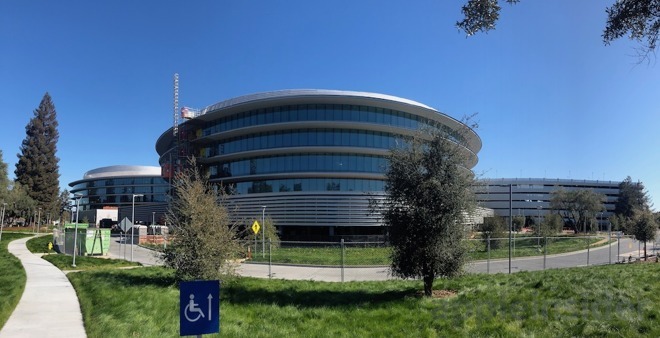 On the other hand, the new AC3 is much closer to the Sunnyvale Caltrain station, enabling employees who live along the regional commuter train corridor (from San Francisco to San Jose) to take the train and a short shuttle (or bike) ride to the new facility. 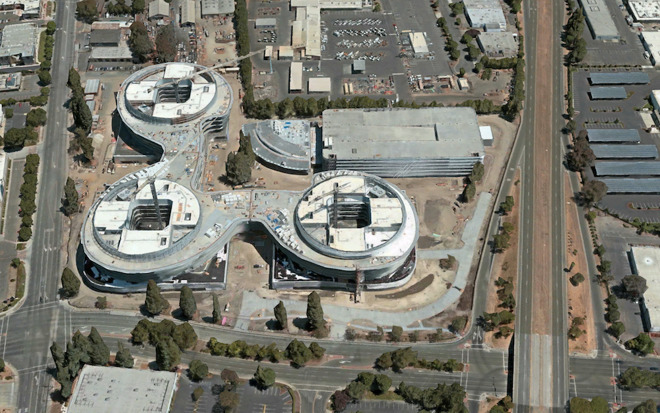 The Flyover view of the site in Apple Maps currently depicts AC3 as a work in progress, but the cranes are long gone and most of the landscaping is now complete. 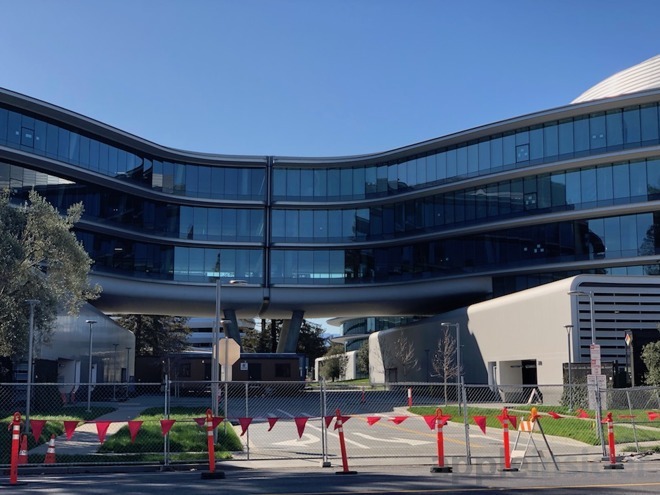 The complex has a George Jetson flair with round expanses of windows that nearly capture Apple's bespoke design of Apple Park, although on closer inspection it appears much more conventional and looks less expensive. 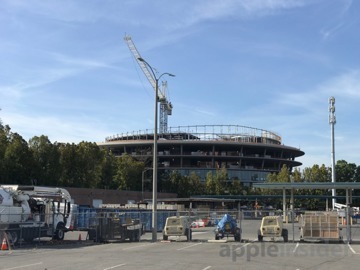 The site appears to have been speculatively designed by HOK and initiated by its builder Level 10 Construction rather than being designed and commissioned by Apple itself, which signed a lease to occupy it in 2015, just as Apple Park was entering construction. 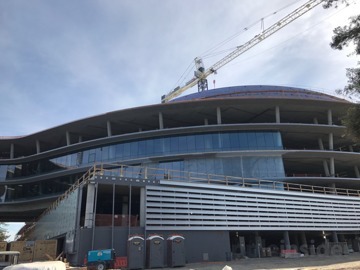 The AC3 project is now nearing completion. 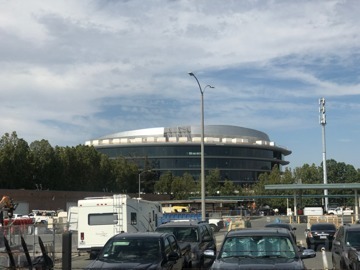 Three rounded structures are joined by two bridged segments that connect them as points on a right angle, resembling a broken fidget spinner from the air. 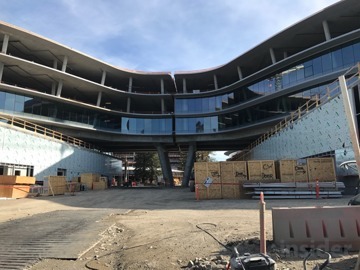 There's parking on levels below the open design of its upper office floors, as well as in a separate, large parking structure to the rear. 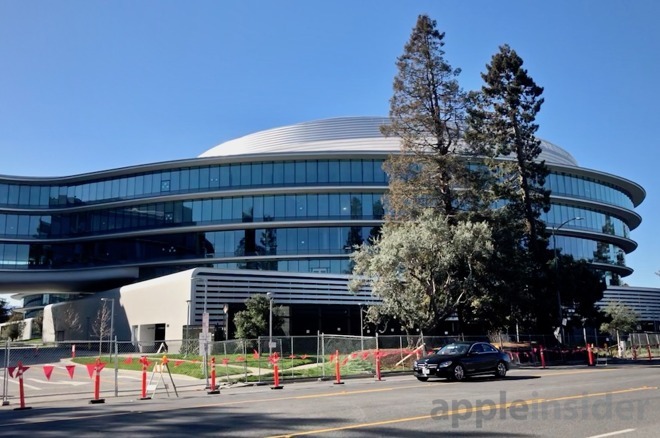 The site is located close to other buildings Apple has leased that appear to be hosting research related to Project Titan, Apple's automotive-related initiatives. 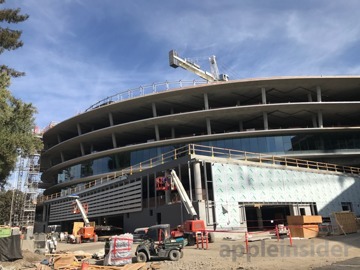 In the galleries below, you can see photos of AC3 under construction last May and what it looked like closer to completion back in September, showing off the expansive open floor plans. 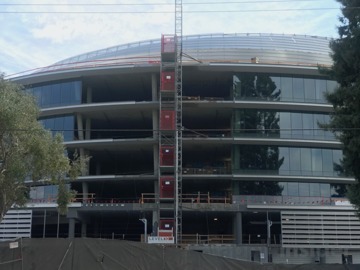 Apple now appears to be close to moving employees into the new site.